You would like to give an individual look to your vehicle? With tinted side or rear windows this is no problem. Let yourself be advised by Autoglas Luxembourg.We are real professionals who your foils millimeter-accurate. With tinted windows, you drive safer and more relaxed! Autoglas foils are available in different levels of translucence and combine sun protection and comfort with individual styling. Less heat radiation: Installing high quality car foils reduces the heat generated by solar radiation by up to 70%. Your vehicle is less heated and the air conditioning is relieved. Sun protection: Car window films reduce the harmful UV radiation from sunlight by almost 100%. In addition, they prevent premature fading of the interior. Anti-theft protection: Through the film coatings the insight into the vehicle is more or less blocked. The extreme load-bearing capacity of the film also prevents the window from splintering. Breaking in is not made impossible, but they are considerably more difficult. Relaxed driving: Autoglas films significantly reduce the incidence of light and therefore minimize glare. 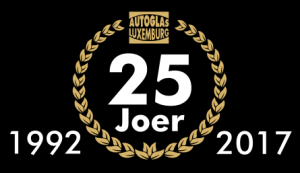 Autoglas Luxembourg is the exclusive representative of the LLumar brand in Luxembourg. Autoglas Luxembourg also exclusively represents the products of Solarglass and Solar Screen International. Copyrights © 2016 Autoglas | All rights reserved.